Bracey’s Nursing Solutions was established August 5, 1989 and has remained in business since. 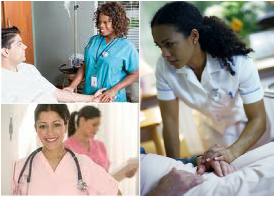 Our staff is composed of Registered nurses, Licensed Vocational Nurses, Family Nurse Practioners, Master level Registered Nurses and Legal advisors. Killeen, Texas is located between Dallas and Austin off of I-35 on West US Highway 190 - A small city without the hassle of traffic, conveniently located to surrounding counties.